Every Spring when the weather finally warms up enough that the cherry trees start to blossom it seems like everyone in Brooklyn emerges from hibernation. We all trade our winter jackets and scarves for lighter gear and sunglasses and our neighborhoods finally feel bustling and busy again. Warm weather also makes it much easier to convince friends to leave their cozy apartments to hang out. 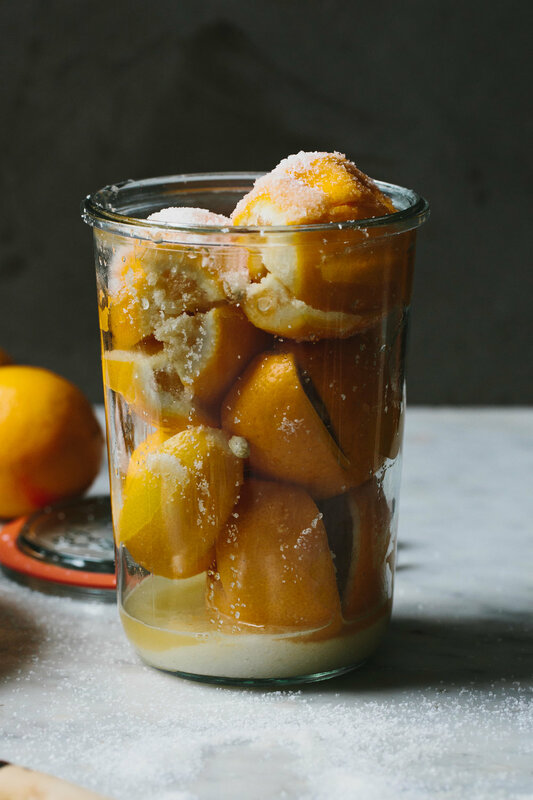 I'm a big fan of the casual weeknight potluck and while potlucks are just about the easiest way to entertain, there's a little trick I use to make it even easier on me - grocery delivery from Whole Foods Market. The cake pictured here is one of my very favorite Spring recipes from my book - a Rhubarb and Rye Upside Down Cake. It is just a bit wholesome from the rye flour and topped with a pound of perfectly pink and tart rhubarb. It's perfect with a little something bubbly to round out a Spring meal. If you are curious to try Whole Foods Market delivery powered by Instacart, I am so glad to be able to give you guys a deal - Follow the link above and use the code wfmapt2bbakingco for free delivery and $10 off your first order! An upside-down cake is a great way to highlight just about any fruit, but this springy version is especially nice due to rhubarb’s vibrant pink hue and tart flavor. The cake batter is light, fluffy, and speckled with just enough rye flour to make it interesting. As the cake bakes, the tart rhubarb juices caramelize into a delicious sauce that soaks into the cake. Serve slices of cake warm, with a bit of whipped cream or ice cream on the side for a perfect spring treat. Position a rack in the center of the oven and preheat to 375F (190C/Gas Mark 5). Butter a 9-inch cake pan or springform pan, 3 inches tall, line it with parchment paper, and butter that too. Dust the pan and paper with flour. 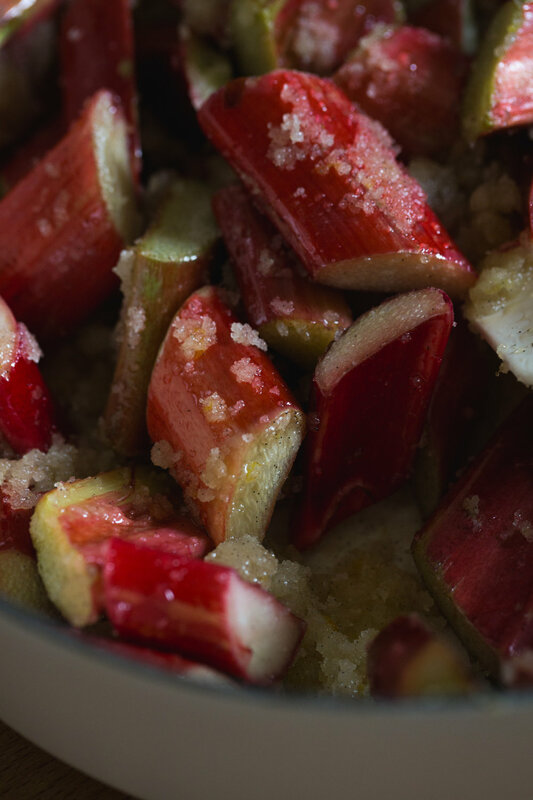 To make the rhubarb topping: Use the tip of a knife to split the vanilla bean lengthwise and scrape out the seeds; reserve the pod for another use. 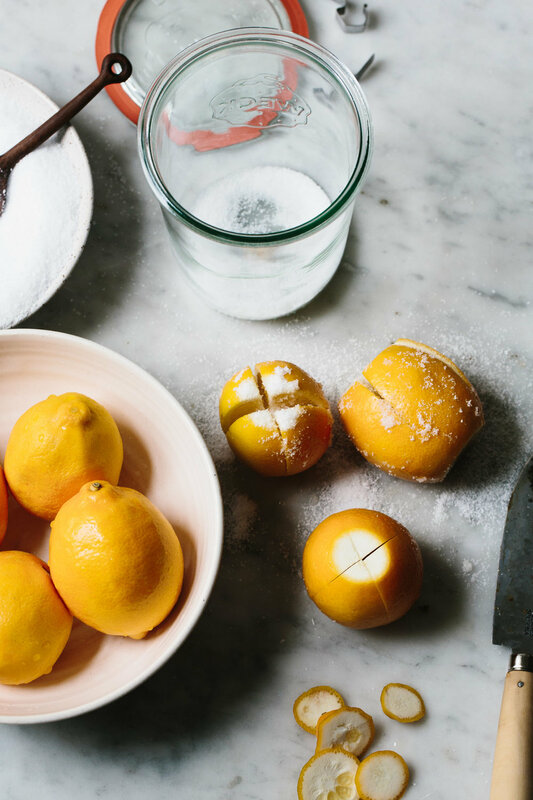 Combine the sugar, butter, vanilla seeds, lemon zest, and salt in a skillet and set over medium low heat. Heat, stirring occasionally, until the sugar and butter begin to melt together, then add the rhubarb. Cook the rhubarb, turning it occasionally in the pan, until it is juicy, tender, and slightly caramelized but not falling apart, 6 to 8 minutes. Pour the rhubarb and its juices into the prepared pan and spread in an even layer. Set aside while you prepare the cake batter. To make the cake: In a medium bowl, whisk the all purpose and rye flours, baking powder, baking soda, and salt together. In the bowl of a stand mixer fitted with the paddle attachment, cream the butter and sugar together at medium high speed until light and fluffy, about 5 minutes. Add the eggs, one at a time, mixing for 30 seconds after each addition. Add the vanilla and mix for 30 seconds. Use a rubber spatula to scrape down the sides and bottom of the bowl. Alternate adding the flour mixture and the buttermilk in three additions and mix until just combined. Carefully pour the batter over the rhubarb in the pan and smooth the top. Tap the pan gently on the counter to remove any air bubbles. If using a springform pan, set it on a baking sheet to catch any potential leakage. for 15 minutes, then carefully invert onto a serving platter. Remove the parchment paper and reposition any rhubarb that has stuck to the paper. Cut into wedges and serve warm with whipped cream or ice cream, if you like. This cake is best served the day that it’s made. This post was created in partnership with Whole Foods Market powered by Instacart. Thoughts and opinions are my own, as always.